Traditionally, delinquent girls were considered an anomaly, a rare phenomenon attracting little scholarly notice. Today, more than one in four youth offenders is female, and researchers and practitioners alike are quickly turning their attention and resources to address this challenging situation. 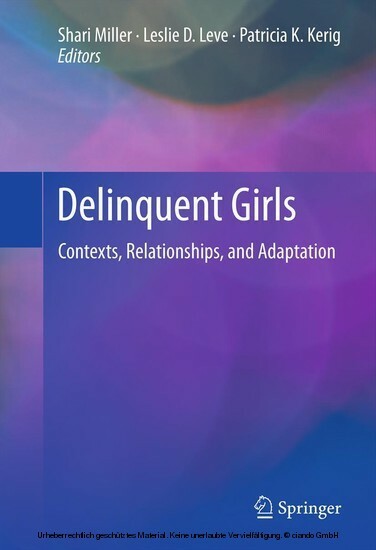 Delinquent Girls: Contexts, Relationships, and Adaptation synthesizes what is known about girls involved in delinquent behavior and their experiences at different points in the juvenile justice system. This breakthrough volume adds to the understanding of this population by offering empirical analysis not only of how these behaviors develop but also about what is being done to intervene. Employing multiple theoretical models, qualitative and quantitative data sources, law enforcement records, and insights across disciplines, leading scholars review causes and correlates; the roles of family and peers; psychological and legal issues; policy changes resulting in more arrests of young women; and evidence-based prevention and intervention strategies. Each chapter covers its subject in depth, providing theory, findings, and future directions. Important topics addressed include: Narrowing the gender gap - trends in girls' delinquency. Girls at the intersection of juvenile justice, criminal justice, and child welfare. 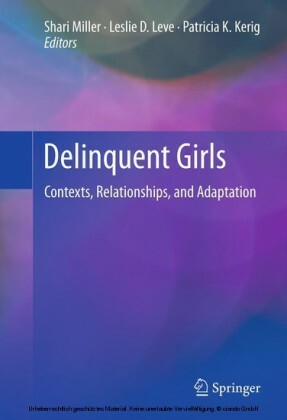 Trauma exposure, mental health issues, and girls' delinquency. Beyond the stereotypes: girls in gangs. Intervention programs for at-risk and court-involved girls. Implications for practice and policy.